After transcribing more than 200 Rolls of Honour from around Sheffield we thought we had transcribed them all, but we know we still have more to transcribe and discover. We often come across old images of them, hear tales of a Roll of Honour from contacts to our website and we have also had images of ‘New’ Rolls sent to us. 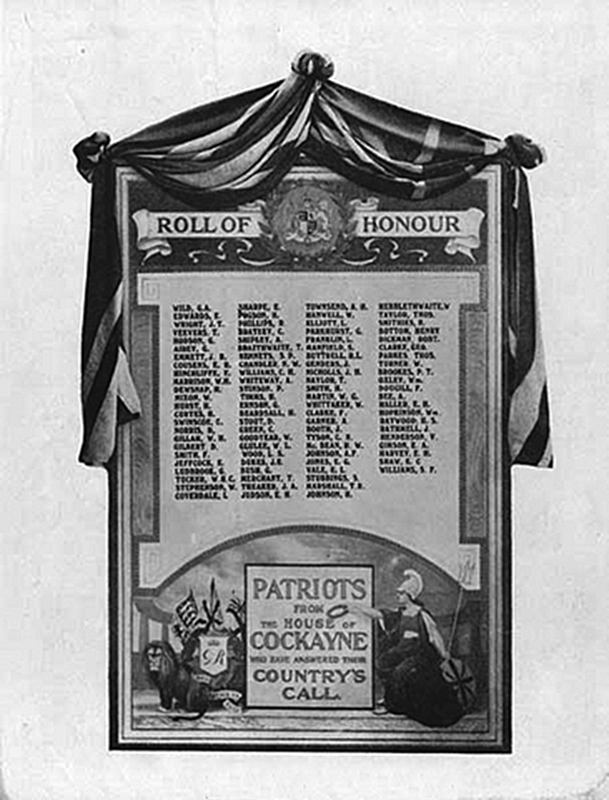 Here is a list of Rolls of Honour/Memorials we know once existed. We do have transcriptions/images of some of these Rolls, but we would like help in finding the whereabouts of any of these in the list. Even better would be an image/knowledge of any ‘New’ Rolls we have not yet discovered. R.B. Mattocks, Butchers, Ellesmere Road. Information from Richard Ineson, "Mattock's were a famous old butchering family, they had quite an empire. I had a look round this shop, at the invitation of the then manager, a Mr. Gay, I think. The shop had not really been altered since being built, it was a superb example of a Victorian butcher's shop. There was even a framed certificate on the wall, bearing the flags of all the allied nations in the 1st World War, saying "The Following employees of R. Mattock & Sons have enlisted in his Majesty's Forces" followed by a list of names. Upstairs were disused offices of the company, all fitted out with desks and pigeon holes full of old invoices etc. How I wish that I had taken some photographs of this 'frozen in time' building. I imagined that it would always be there, and now it's gone." Cherry Tree Orphanage Roll of Honour. We have a transcription but no image. Crookesmoor Methodist Church Roll of Honour. We have a transcription but no photograph. Dolphin Street Roll of Honour. We have a part transcription and an image, but does the actual ‘Roll’ still survive ? Rutland Hall Settlement Guild Roll of Honour. We have a transcription but no image. We have received information that this roll of honour is actually the Roll of Honour for Woodside Lane School. The Roll of Honour is now 'lost' due to a break in a few years ago. 8th & 9th Battalion York & Lancs Roll of Honour. Sheffield Cathedral. We have an architects drawing but no transcription or photograph. Cathedral Church of S.S. Peter & Paul Roll of Honour. We have an architects drawing but no transcription or photograph. St Georges Roll of Honour, Brookhill. We have a transcription and architects drawing but no photograph. 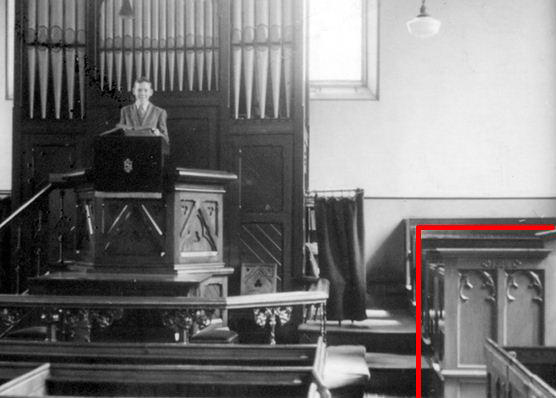 St Michaels and All Angels Roll of Honour We have had information that before demolition of the church the roll was relocated to the church on Nursery street ( now the New Testament Church of God) Previously we have enquired but was told it wasn't there. St Timothys Roll of Honour, Crookes. We have a transcription but no photograph. Walkley Reform Club Roll of Honour.